Happy Halloween From South Charlotte Dentistry! Home/Cavities/Happy Halloween From South Charlotte Dentistry! Yep, it’s that time of year again! Everyone is bustling around, buying pumpkins and decorations to get ready for Halloween. And that means there’s one more thing that people are out and about buying up to prepare for the holiday- candy! Candy is great for an after dinner treat, and it’s great that we have this one day out of the year for kids to indulge their childhood whims and feast in buckets of candy. But just because Halloween is a fun experience that kids should have the opportunity to enjoy doesn’t mean that we should let their oral health falter so that they can celebrate the holiday. Here are some tips for making sure kids stay healthy through the holiday! When you are thinking of purchasing your candy for this Halloween you might want to consider purchasing some sugar free options. You could offer it in a separate container so that health conscious parents can know what kind of candy their child is getting, or you can sneak it in with the other candy so the kids won’t even notice. Most of the time kids can’t even tell the difference between the sugar free candies and the regular ones. Usually when kids say they can taste the difference, it’s purely psychological. When they don’t know that it’s sugar free, they can’t even tell. The reason sugar free candies help maintain a child’s oral health is because of the way sugar is broken down in our mouths. As we have discussed before, the bacteria in our mouths are responsible for breaking down any sugars that we eat. When they do this, they leave behind a substance that we know as plaque, and plaque is what causes teeth to rot. As we discussed in our article about licorice lollipops, new research has shown that licorice may actually be a significant help to preventing tooth decay. Researchers discovered that young students who were given lollipops made with licorice had lower incidences of plaque causing bacteria after a month of sucking the lollipops twice a day. If you want to make sure kids maintain healthy teeth after Halloween, buying licorice and licorice based candies may be a good way to help. This suggestion may be a bit of a harder sell than the others. No kid wants to go trick or treating at the house that only gives out fresh fruit and granola for Halloween. But there are some healthy options that won’t have the neighbor kids passing up your house on Halloween night. One option that I always loved as a kid is popcorn balls. Popcorn is dipped lightly in caramel or honey or both and then rolled around together until it forms a ball. These balls are delicious and sweet just like other candies so kids will love them, but they don’t contain nearly the same amount of sugar as some of the other candies on the market these days. Another option may be animal crackers. These cookies are notorious for their popularity amongst children but don’t contain nearly as much sugar as most other cookie options. And though it may not be as popular with some kids, handing out small toys and stickers is another option for a candy alternative. Some may be leery to give out little toys however, because of their expense and the fact that children tend to want to go straight for the houses that only give out the best candy. But if you do your research you may be able to find some inexpensive toys that are actually very popular with kids. Back when silly bands were a huge fad among kids they would gladly take a silly band over a piece of candy. 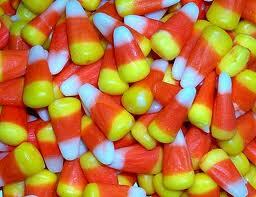 This is the most important part of preventing Halloween sugar overload. Always make sure your kids brush and floss their teeth after indulging in the candy haul on Halloween night. One of the biggest reasons that plaque is able to rot our teeth is because we allow it to sit there for long periods of time and it then has a chance to do its damage to our teeth. If children are eating sugary treats on Halloween night then after they’ve had their fill of candy they should head to the sink and brush and floss their teeth right away. This way the plaque may not have time to do much damage before it is brushed and flossed away. If your child does have a little too many sweets on Halloween and is unfortunately left with a cavity shortly after then make sure you take him or her to see Dr. James A. Wells with South Charlotte Dentistry right away. The longer you let a cavity sit in a child’s tooth, then the more likely they are to develop a more serious infection and risk loosing the tooth. 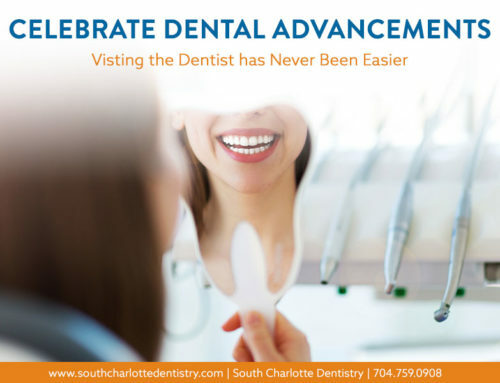 If you would like to make a dental appointment with Dr. Wells’ Ballantyne office for your child or yourself please visit our contact us page, or call 704-759-0908.